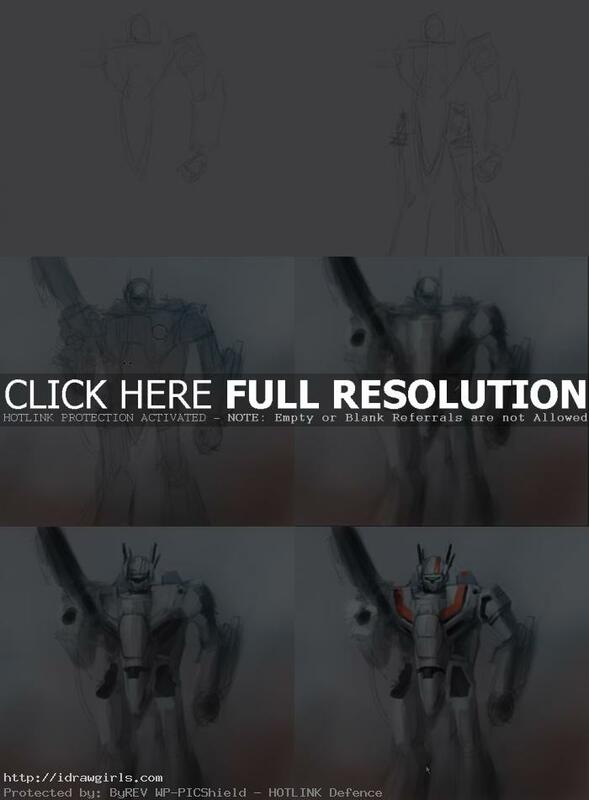 How to draw Robotech Anime robot. It is also known as Macross. This video shows you how to draw then color a robotech character. Learn to draw and paint Robotech Macross VF-1J Rick Hunter robot from video tutorial and step by step images with instruction. This is a very basic drawing and coloring tutorial. If you want a more advance tutorial, You can click on the labelled buttons how to color StarCraft Marine below the video. It is newer and better. You can scroll down further to see step by step images with instruction. I usually started off with initial thumbs stage, start sketch the initial idea mainly using value and lighting, drawing, block in shape, and render. The video demonstrates how to quickly create an efficient concept design from concept idea into visual. How to put rough idea onto the paper sketch and create sci-fi character concept art online lesson for comics cartoon illustration, manga, and anime. The actor Tobey Maguire (Spiderman) will head the “Robotech” live action movie. Maguire, across his company Maguire Entertainment, it will be initially producer of the tape, which rights were bought by Warner Bros. Maguire not only would occupy producer’s cargo in the movie. since also his idea would be to be the protagonist of the movie version of this classic, The script for the big screen will be written by Craig Zahler. One of my favorite series when I was a kid, Macross. This is actually the first time I ever attempt to draw it. Macross (マクロス) is a series of science fiction mecha anime, directed by Shōji Kawamori of Studio Nue in 1982. The franchise features a fictional history of Earth/Humanity after the year 1999. The term Macross is used to denote the main capital ship. This theme began in the original Macross, the SDF-1 Macross. Overtechnology refers to the scientific advances discovered in an alien starship (Alien Star Ship – One later renamed Super Dimension Fortress – One Macross) that crashed on South Ataria island. With this technology, Earth was able to reverse engineer the technology to create mechas (variable fighters and destroids), a faster-than-light space fold drive for starships and other advanced technologies, featured throughout the series. 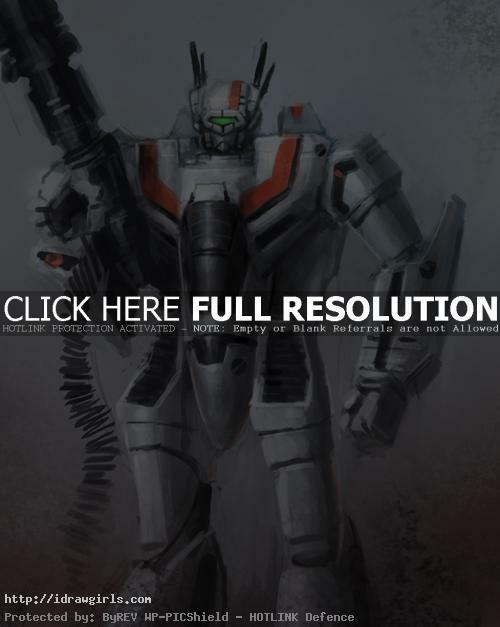 Below are step by step images how to draw and paint Macross VF-1J.